Porsche 911 racing customers showed competitive flashes during today’s Mobil 1 Twelve Hours of Sebring, the opening round of the 2011 American Le Mans Series, but, when the checkered flag fell, there was disappointment among the Porsche faithful in the crowd of more than 100,000 in perfect weather at Sebring International Raceway in Central Florida. In the GT class, where the Porsche GT3 R/RS/RSR race car has won the championship eight of the 11 years of its existence, the Porsches finished sixth and seventh, while the other two did not finish. 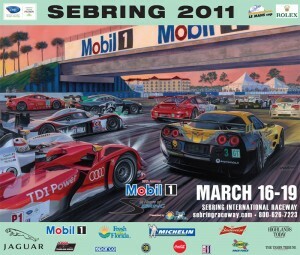 The top GT finishers were BMW (first and second), Corvette (third and fourth), and Ferrari (fifth). The #45 Flying Lizard Porsche 911 GT3 RSR, with Patrick Long (USA), Joerg Bergmeister (Germany) and Marc Lieb (Germany) at the helm, started off strong as the top seven GT cars were within ten seconds of each other for most of the first two hours. But, right at the two- hour mark, Long and Corvette driver Jan Magnussen were contesting a corner and Patrick tapped the Corvette, with both cars spinning off the course. Long was penalized for avoidable contact, and although he said he and Magnussen were both racing to avoid contact, he accepted blame for the incident. “We were having a clean joust, but I apologized to Jan as I hit him. The lap we lost really cost us, but I was confident that, as we had done so many times, the Flying Lizard team could help put us back in contention as the race was young,” said Long, who has won the ALMS GT title with Bergmeister the last two years. 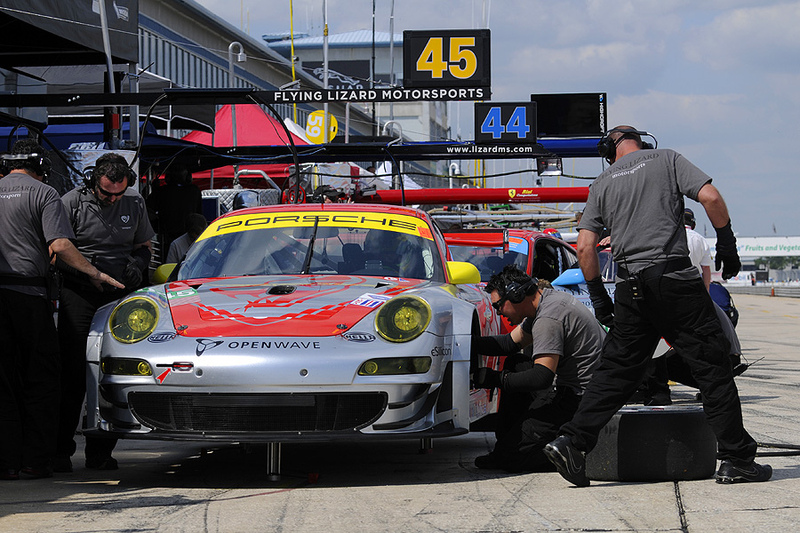 Three years ago, in 2008, Joerg won the championship with Wolf Henzler – all in the Flying Lizard Porsches. It was not to be, however, as a routine change of the ice in the cool suit container later in the race turned into costly pit stops as water leaked from the container, causing electric shorts that required two extra stops to diagnose and fix. The car finished sixth in class, two laps down. 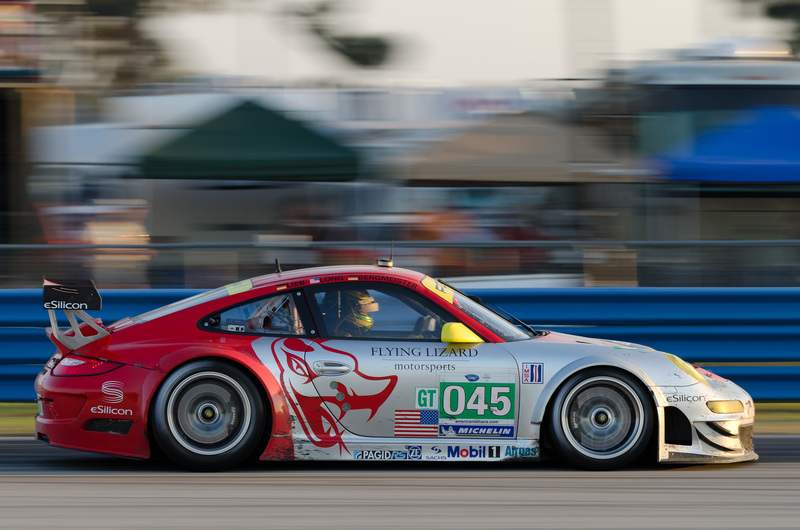 The Team Flying Lizard Porsche 911 GT3 RSR of Seth Neiman (USA)/Marco Holzer (Germany)/Darren Law (USA) finished right behind their sister car in seventh place. The other two Porsches in GT had bad luck, as the Team Falken Tire Porsche 911 GT3 RSR (Bryan Sellers/Wolf Henzler/Martin Ragginger) ran in the top five all day, but ran into gearbox problems late in the race, while the Paul Miller Racing Porsche (Bryce Miller/Sascha Maassen/Rene Rast) retired with a broken differential. In the GT Challenge class for matched Porsche 911 GT3 Cup cars, the 2010 class champions – the Black Swan Racing Porsche 911 GT3 Cup – started their title defense with a victory with car owner Tim Pappas (USA), Sebastiaan Bleekemolen (Netherlands), and Damien Faulkner (Ireland) scoring a one lap win. The Black Swan Racing victory in GTC was especially sweet for team owner Tim Pappas, whose week looked bad when newcomer Sebastiian Bleekemolen, who substituted for his brother Jeroen – who had a prototype ride – crashed the Porsche 911 GT3 Cup car in practice early in the week. “We fought back so hard from that early setback, and Sebastiian and Damien (Faulkner) really came through when it counted. Sebring chews you up and spits you out, and we stood up to the abuse and won. This is really great,” said Pappas, who won the title in 2010 with Jeroen Bleekemolen. The TRG Porsche 911 GT3 Cup of Spencer Pumpelly/Alain Li/Duncan Ende was second, only 68 seconds behind after 12 hours of racing. Third was the NGT Motorsports Porsche of Henrique Cisneros/Carlos Kauffmann/Sean Edwards – the team’s first entry in GTC. Cisneros won both sections of the IMSA GT3 Cup by Yokohama over the weekend, while Kauffmann was on the podium in that series – all in NGT entries. Edwards turned the fastest GTC race lap. 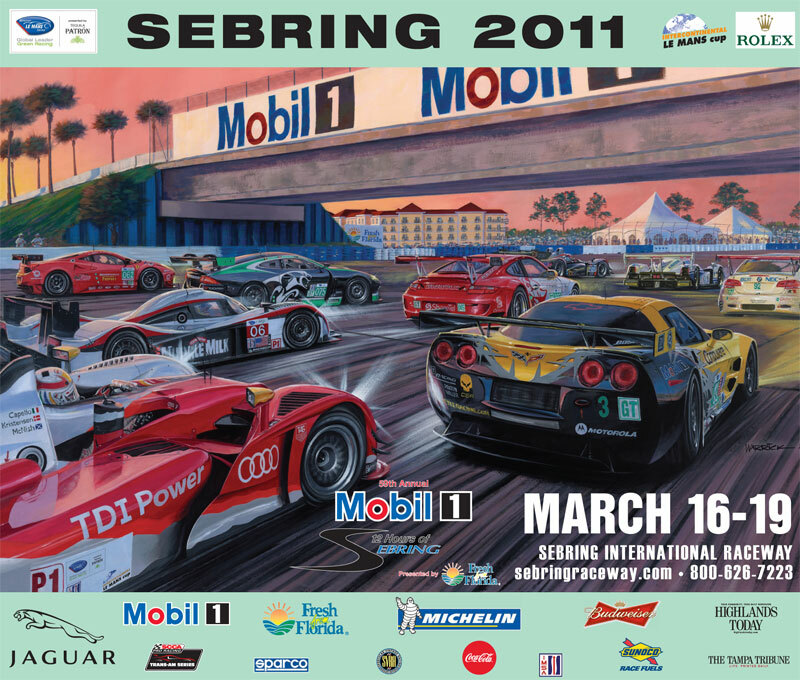 The next round of the American Le Mans Series will be through the streets of Long Beach, California, on Saturday, April 16.